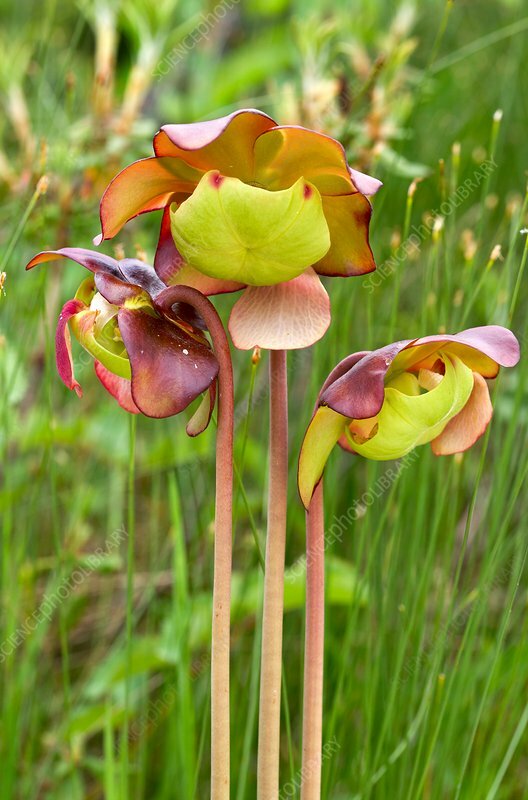 Purple pitcher plant (Sarracenia purpurea) flowers. This insectivorous plant is found in bogs. Photographed in Newfoundland, Canada.